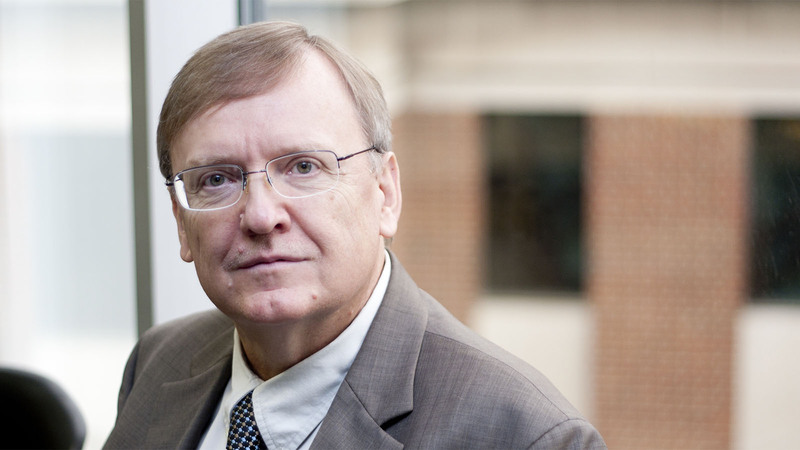 Waldemar Debinski, MD, PhD, pioneers the use of targets in malignant brain tumor cells that are not present in normal brain to destroy them effectively and safely. With a broad range of experience in both basic science and preclinical models, he develops novel approaches to drug development and delivery and partners with industry for both therapeutic licensing and testing purposes. Waldemar Debinski, MD, PhD, attended medical school at the Warsaw Academy of Medicine and earned his doctorate from McGill University in Montreal, Quebec, Canada while simultaneously completing a fellowship at a clinical research institute in Montreal. He later held a visiting scientist position at the National Cancer Institute, where he investigated cytotoxic-targeted drug candidates for treating brain tumors. As a faculty member at Pennsylvania State University’s neurosurgery department, he helped to develop a “designer protein,” a single-chain protein that seeks out and makes its way into specific cells, such as cancer cells. One of his early candidate drugs underwent clinical development by industry. He joined the neurosurgery department at Wake Forest School of Medicine in 2004 and continues to focus on the development and assessment of targeted drug candidates for treating brain tumors. He holds over fifteen patents on various therapeutics and other cancer-fighting solutions, including a drug candidate that uses specific molecular targets to treat glioblastoma while also being less toxic than radiation and chemotherapy and less invasive than surgery. Debinski also partners with researchers at the Virginia Tech – Wake Forest University School of Biomedical Engineering and Sciences to develop a new method of drug delivery called convection-enhanced delivery. This method has the potential to make brain tumors more accessible to doctors by assisting chemotherapeutics and experimental drugs in crossing the blood-brain barrier. With deep expertise in and novel approaches to drug development and delivery, Debinski partners with industry for both therapeutic licensing and testing purposes. Since cancers of the brain resemble many other types of tumors on a molecular level, he believes that his discoveries will be applicable to other types of cancers. He is interested in partnering with industry to evaluate the efficacy of his discoveries, as well as other cancer treatments.